Construction zone is a free construction wordpress. Theme has responsive design made with bootstrap, retina ready blog layout enable and with sidebar. 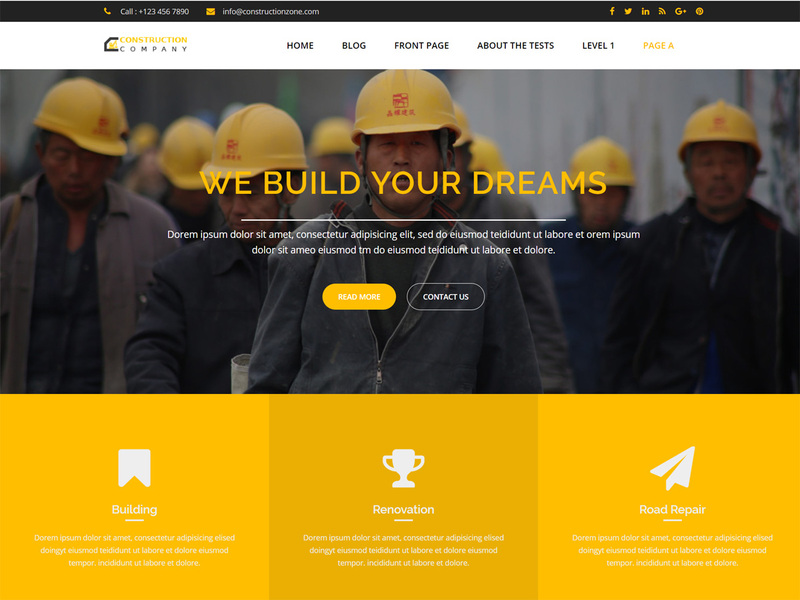 Construction zone comes with full screen slider, high quality Home Page including gallery or portfolio section, testimonial section, service section, team section, recent post section & client logo section. Construction zone fully customizable built on wordpress customizer that enable you to configure your website in live preview. Theme is SEO friendly, Cross browser compatible And compatible with all major plugins.